Diplomacy as a family business.The Casatis as Spanish-Milanese envoys in Lucerne and Chur (1660-1700)The astonishing family career of the Casatis contradicts widespread impressions of early modern diplomacy. This monograph explains how a Spanish-Milanese diplomatic dynasty shrewdly managed, using a highly complex network of confessional, social and cultural connections, to concentrate and deploy its resources upon key actors, and put itself beyond competition from potential challengers. “Other than following God and their own self-interest, this people knows no further impulse,” was the devastating judgment of Alfonso Casati in 1674 concerning the Swiss Confederates. The diplomats nonetheless had to accommodate the needs of these local hosts, or lose their trust and that of their royal employer, the Spanish king. In order to fulfill the demands placed upon him as a diplomat, Alfonso Casati, like most envoys in early modern Europe, periodically reached into his own pockets. In contrast to many contemporaries, however, he did not respond to the costly requirements of the job by seeking to be relieved of his duties. On the contrary, he laid the ground for ensuring that his own son became the fourth generation representative in a nearly continuous position held by the same family. 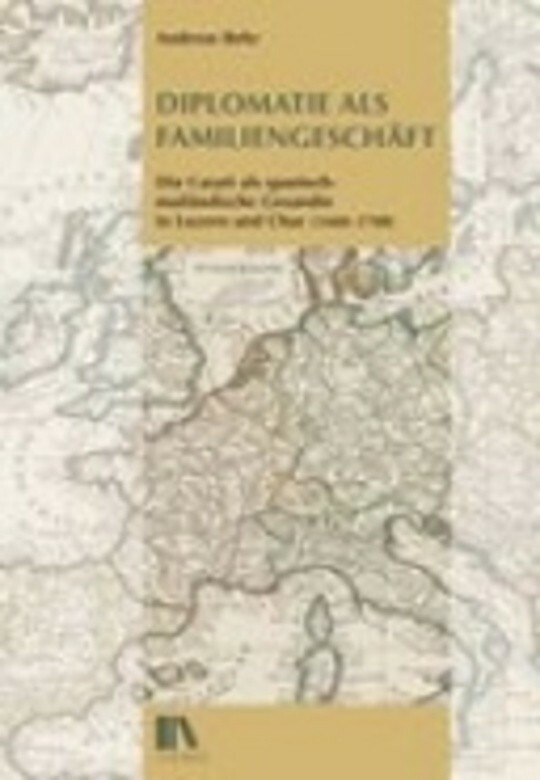 Tapping extensive source materials which are interpreted from the perspective of various historical actors, this study not only reconstructs the position and influence of an extraordinary diplomatic family, but also shines new light on a colorful history of patronage, corruption and politics in the external relations of the Confederacy and Graubünden. Exkurs: Der schwierige Abgang Carlo Casatis nach dem Tod Karls II. 1.3. Fazit: Korruption, Klientelismus oder Patronage? 2.1.3. Die spanischen Aussenbeziehungen – konfessionell gefärbt?